We have discovered that there are 3 basic types of swings and the best players tend to use the technique that suits their natural mechanics. Since imitating a swing that is not right for you can cause inconsistent contact, it’s important that you figure out your natural backswing plane and what the best grip for you is. You wouldn’t blindly march into getting started with horse betting with no prior knowledge about the sport, and the same can be said for improving your golf game. Under golfers should always go with a strong grip so point the ‘Vs’ formed by your thumbs and forefingers outside your right shoulder. This will make it easier to take the club back with your right hand under your left which is your natural backswing. Under golfers have a naturally shallow swing, so you’ll need to steeply hinge your wrists vertically or you’ll get the club ‘stuck’ behind your body. 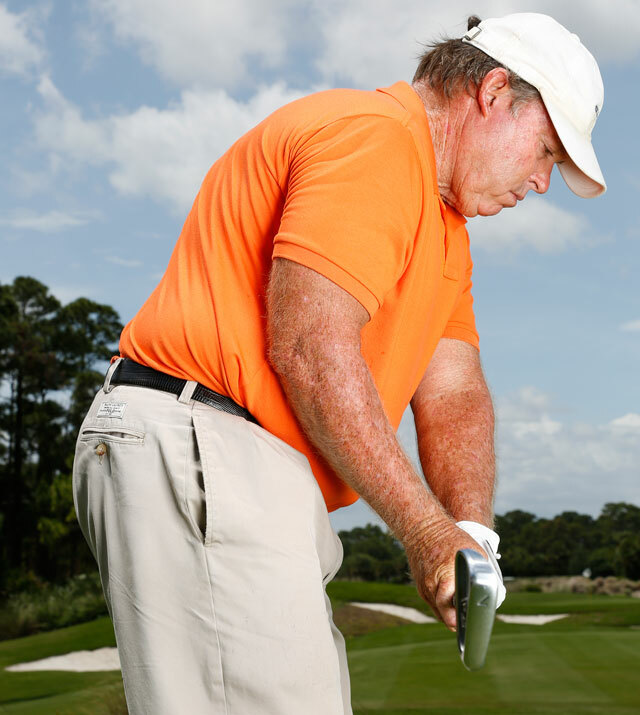 Bend your wrists as though you’re flipping the club in front of your eyes, and you should see deep wrinkles in your right wrist at the base of your thumb. Don’t fight your naturally flat swing and keep it shallow by pointing your thumbs below your right shoulder as you swing to the top. Take a neutral stance and set your right hand on the grip so that your right palm faces the target. This will place your right hand in position to hinge the club horizontally and apply pressure on the side of the shaft which is your power position. Now, hinge your wrists horizontally and bend your right wrist back while folding your right elbow. Side-on golfers should swing on the torso plane as a neutral arm dictates a neutral swing plane. As an on-top golfer you’re going to need to weaken your top hand, and since you’re going to attack the ball on a steep angle getting your right hand on top is critical. If you don’t do this, you’re going to lose control of the shaft. You can achieve this by taking a very weak right-hand grip with the ‘V’ pointed towards your left shoulder, and a strong left-hand grip. On-top golfers have to offset the steepness of their natural arm swing with a diagonal hinge, so hinge both wrists towards your right shoulder, which will set you perfectly on plane.